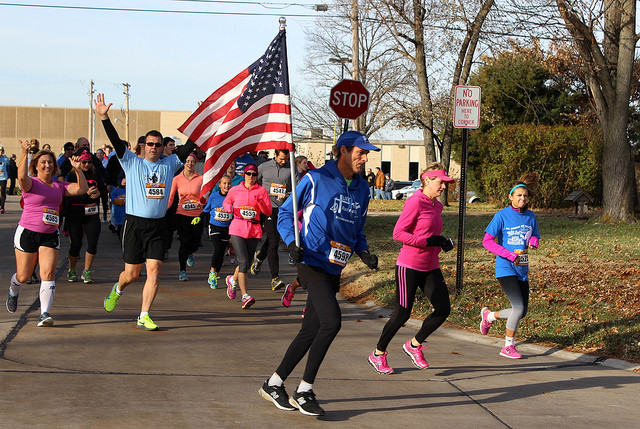 St. Dominic High School is proud to host the 5th Annual Joe Haug 5K & One Mile Fun Run on Saturday, November 18, 2017 at St. Dominic High School. Support St. Dominic as we race and raise money for our Dominican Scholarship Fund. Live music will be provided throughout the morning to help you gear up for the race! Food will be available for purchase, and runners will have access to our exclusive "Racers Tent" for refreshments after they cross the finish line. Race shirts are guaranteed if you registered by November 10. Awards | Top male and female overall winners in the 5K, as well as the top finisher in each of the following 5K age groups: 10 & under, 11 to 14, 15 to 19, 20 to 29, 30 to 39, 40 to 49, 50 to 59, 60 to 69, 70 & over. The One Mile Fun Run is an untimed event, but all finishers will receive ribbons.